How often do you see your dentist for a routine exam? Too often, people avoid seeing the dentist until something is wrong, such as the onset of a cavity or infection. By seeing us every six months, you help safeguard your smile against common oral health issues. Find out why seeing your Astoria, NY, dentist to have your teeth cleaned is so vital for your smile’s health and beauty! A routine dental cleaning involves the use of a manual tool, ultrasonic scaler, or a combination of the two to remove all plaque and tartar buildup from the teeth. By removing this bacterial byproduct from the teeth, we reduce the risk of tooth enamel eroding, which causes tooth decay and eventually, infection. Removing the buildup also protects the gums, reducing the risk of inflammation and preventing the onset of gingivitis and gum disease. Along with safeguarding your oral health, you also enjoy fresher breath and brighter teeth, as we complete the procedure by polishing your teeth. As you can see, preventive care offers a number of benefits. For most patients, we need to see them every six months. That amount of time enables us to closely monitor the smile and watch for possible signs of trouble, catching issues like gingivitis and tooth decay in the early stages. However, if you have high risk factors for developing gum disease, a serious concern linked to adult tooth loss, we may recommend a visit every three to four months. If you haven’t made time to see the dentist in a while, it’s never too late to start. Give our team a call and let’s find a good time to perform an exam and cleaning. What if you have severe plaque buildup and the early stages of gum disease? In order to manage your disease and protect the health and stability of your smile, we may need to perform more than a routine cleaning. 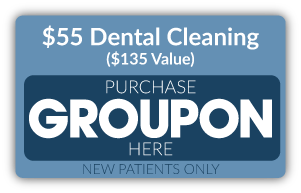 Known as a deep cleaning, a scaling and root planing removes all plaque from the teeth and the roots as well. The procedure may take between one and four visits, depending on the extent of the buildup. Afterward, inflammation decreases significantly and you help protect your smile from periodontitis, the advanced stage of gum disease that causes tooth loss. If you have any questions about our routine preventive visits, then contact our team today. Don’t forget to make time for a routine exam and to have your teeth cleaned, so we can help you maintain a healthy smile. 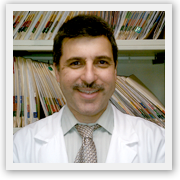 For more information on our preventive, cosmetic, or restorative treatment options, schedule a consultation with us by calling Jeffrey Leibowitz, DDS, in Astoria, NY, today at 718-728-8320.